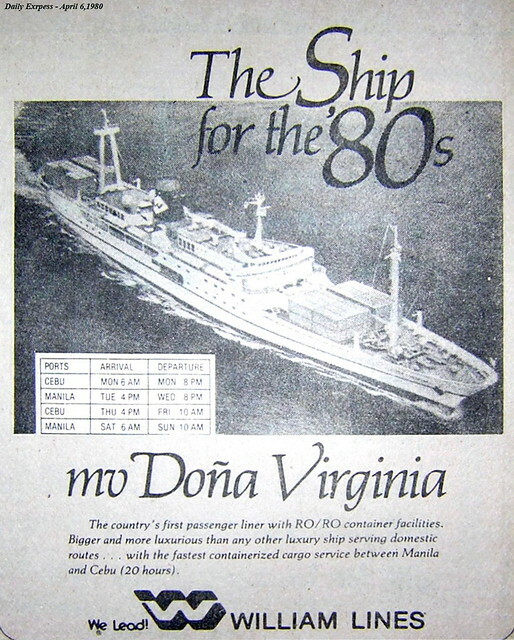 A few months ago, I got the incredulous (at least for me) update that Montenegro Shipping Lines Inc. (MSLI) will be fielding their ship Maria Rebecca in the Zamboanga-Jolo route which is the next foray of the shipping in an exclusive Mindanao route after their Surigao-Dapa, Siargao route in northeast Mindanao (and so the logical next step is a southwestern Mindanao route?). A lot of questions come into my mind with their move. First is the question of security. This part of the country has bombings and extortion, of course. Western Mindanao is also known for another kind of taxation, one that does not have receipts. I was wondering, did Montenegro Lines already paid what is “due” them? If not their move is a hazardous proposition especially since they are newcomers and strangers to the place. The alternative taxation “due” there from businesses probably does not give discounts or grace periods. However, I know the “patron saint” of the company is really strong and influential. Now, how that translates into more lenient or secure terms in that area, that I don’t know. Whatever, their move there is certainly brave. But if something bad happens, I will say it is stupid. In shipping terms, the more important angle here is that of shipping competition and again I wonder deep about the move of Montenegro Lines. The Zamboanga-Jolo route is actually a crowded route. It is not an underserved route. It might even be an overcrowded route and bringing in a RORO is no advantage either. 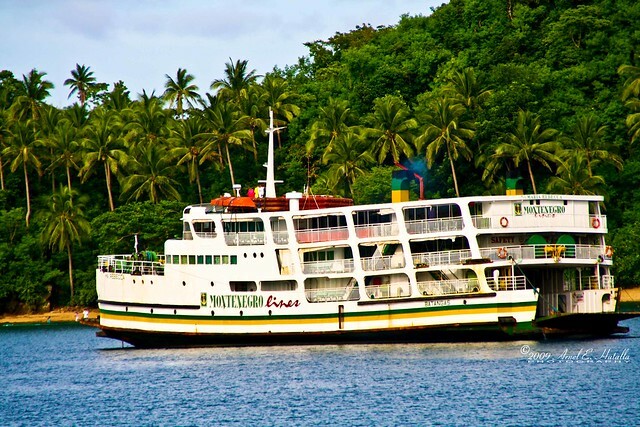 The biggest competitor of Montenegro Lines in the Zamboanga-Jolo route is the dominant shipping company of Western Mindanao which is Aleson Shipping Lines, a homegrown shipping company which is even bigger than any Cebu-based overnight ferry company. 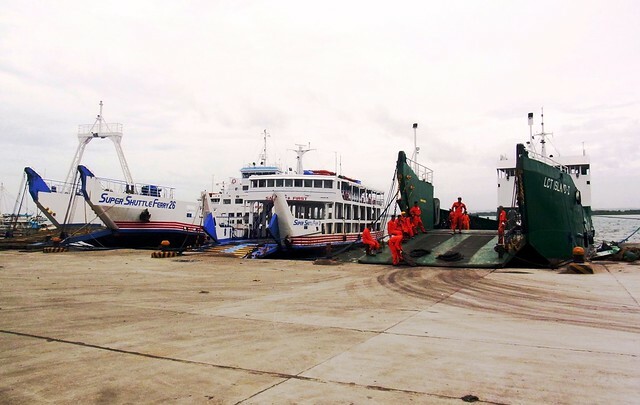 Practically every night and at least six nights a week, Aleson Shipping Lines will have a ship from Zamboanga to Jolo and vice-versa and six of those will be dedicated ships in the route. 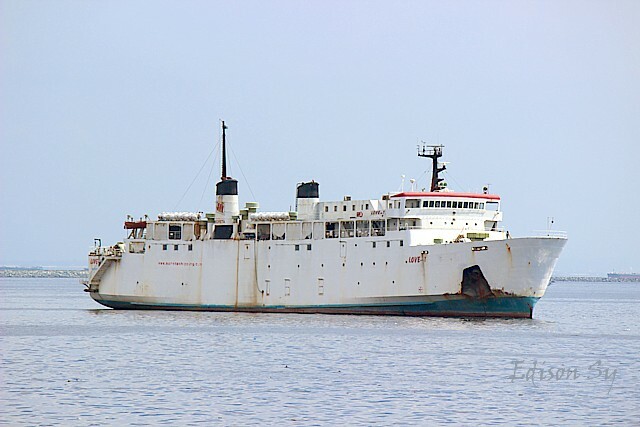 Aside from those, two other competitors of Aleson Shipping Lines with ROROs have up to four voyages to Jolo on the way to Siasi and Sitangkai in Tawi-tawi. These two are the Magnolia Shipping Company and Ever Lines. Actually these two don’t care that much for passengers to Jolo as their bread and butter is cargo. It is the Tawi-tawi route that they care about and they just pass by Jolo for the passengers going further from there. Like Aleson Shipping Lines, they have ROROs but their rolling cargo is sparse. Cargo to Jolo is basically loose cargo. 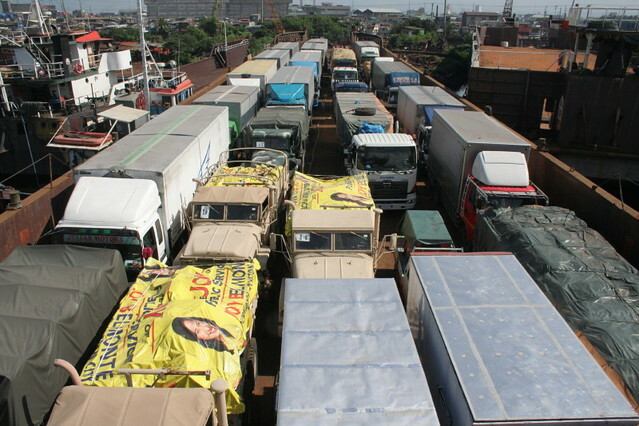 Trucks and cars are seldom loaded because after Jolo there is not much to go to because of the security situation and because of the ridos. 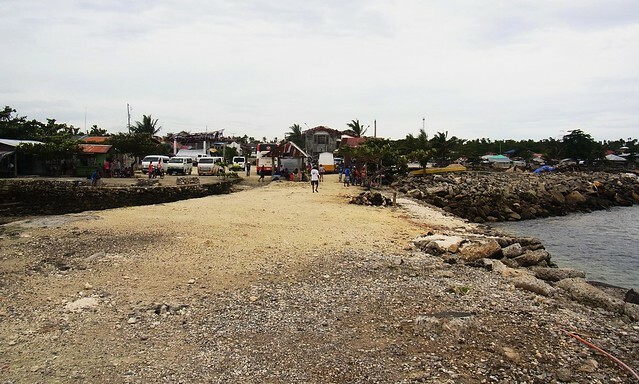 Without proper security those vehicles might just be mincemeat for the extremists that teem in Jolo island. If those can kidnap foreigners that are not even in their land then imagine what they can do to a vehicle chugging along their un-maintained roads. 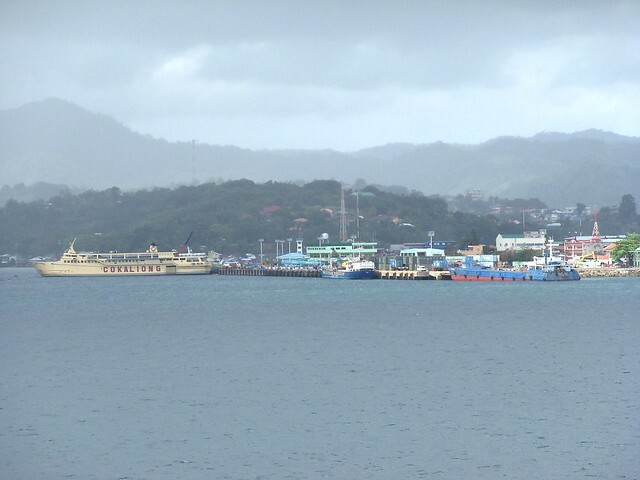 Aside from Aleson, Magnolia and Ever with ROROs, the Zamboanga-Jolo route is also home to the Zamboanga cruiser ferries. The shipping companies that operate these are Sing Shipping, Ibnerizam Shipping and Evenesser Shipping and between the three they operate a total of four active cruiser ferries, the Mama Mia, KC Beatrice, Prince Glory and Bounty Cruiser. So on a given night two of the four will be headed to Jolo and two will be headed back to Zamboanga. Zamboanga is also home to what I call the “Moro boats”, wooden motor boats (before they were wrongly renamed as “motor launches”) that are unique to the area and almost proprietary to the Muslim Filipinos. 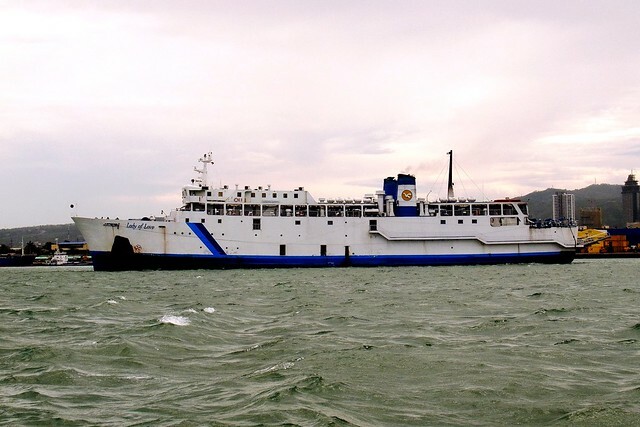 Several shipping companies operate this kind of vessel between Zamboanga and Jolo and among these the two with the most boats are Katrafar Shipping Lines which operate the Katrina boats and L5 Shipping/Maing Dimdi which operate the Sea Dayang/Sea Sayang boats. Malik Manajil also operates the Karmina boat. These three operators sail some 8 Moro boats between them although not that regularly because their main load is copra and passengers come as secondary. Most of the time though they will have a boat docked in Zamboanga and at times three or even four of them will be there. 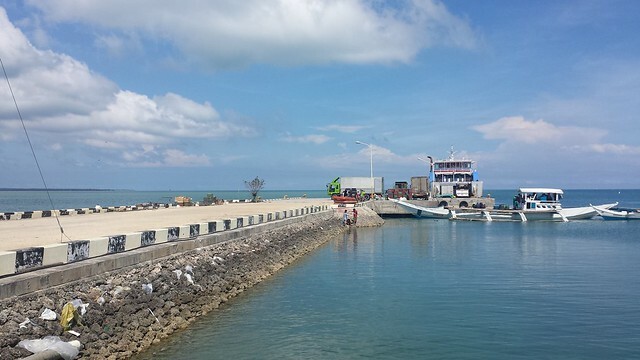 There are also a few unregistered Moro boats that run between Zamboanga and Jolo that use Zamboanga port. Unregistered Moro boats are not novelties in Zamboanga because in truth most of those are actually unregistered with MARINA (Maritime Industry Authority), the local maritime regulatory agency. And in Baliwasan there are also be a few Moro boats running irregularly plus some that sail to the other towns in Jolo island and the other islands of Sulu province. Aside from all those mentioned, SRN Fastcrafts, the operator of the Weesam Express fastcrafts also runs the Zamboanga-Jolo route with a day trip of their Weesam Express 1. So all in all, maybe in a day some eight vessels are due to depart in Zamboanga for Jolo (if none is drydocked) and the Maria Rebecca of Montenegro Lines will be the ninth every other day. 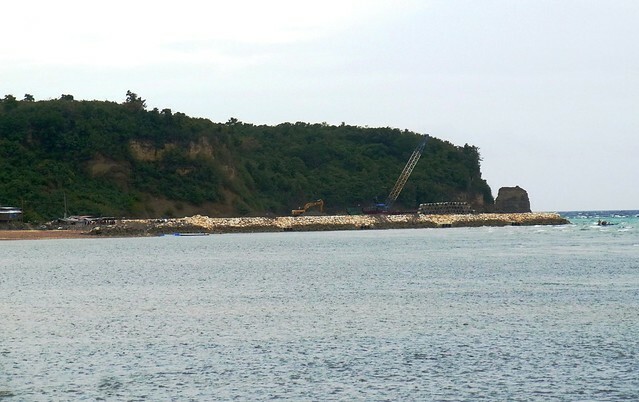 Now, is that 49.9-meter ferry already converted into an overnight ferry? By the way, her size is about average of the steel-hulled ferries that sail in the Zamboanga-Jolo route. So what gives? Sulu only has a population of a little over 800,000 and some of the islands and towns in that archipelago have direct links to Zamboanga. It does not have tourism but it has lots of copra and rubber, crops that can be left behind when there is fighting. Plus, it has cottage industries producing additional millions and those are not the normal kind. But nine vessels going there in a day? Come on!